San Francisco Public Library (SFPL) has been a full depository for California State documents since October 15, 1945. However, the collection at SFPL dates back to 1850, the early days of California statehood. Through the depository program, the Government Information Center houses state agency annual reports, budgets and financial analysis, directories, research reports, periodicals published by state agencies, and other select documents. As yet, not all of the documents are in the online library catalog. If you need assistance, contact the Government Information Center at (415) 557-4500, or send an email to governmentinfo@sfpl.org. Archived California Legislative Information from 1993 to November 2016. Current California Legislative Information from 2017 forward. Located in Sacramento, the California State Archives serves as a repository for historic records of state government. 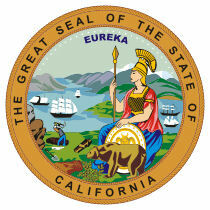 Download California legal forms from the Gale Legal Forms Library, available through our Articles and Databases page. You must have a San Francisco Public Library card to access this site.